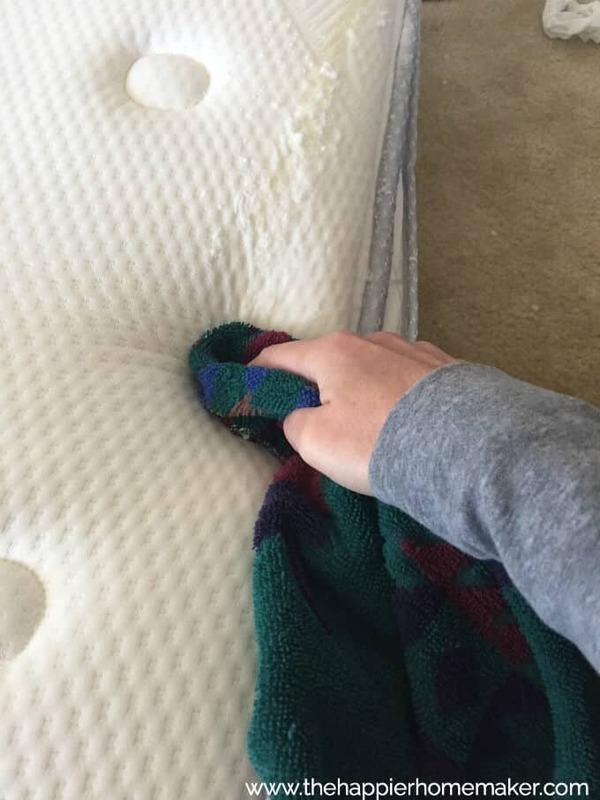 When we moved a couple of years ago I had taken the cover off my oldest son’s mattress due to a rip and since he had outgrown the accident phase for the most part I didn’t replace it. Fast forward to last weekend when my kids all decided to rearrange sleeping arrangements and switch beds, it didn’t even occur to me that my younger son was now sleeping on a bed without protection. 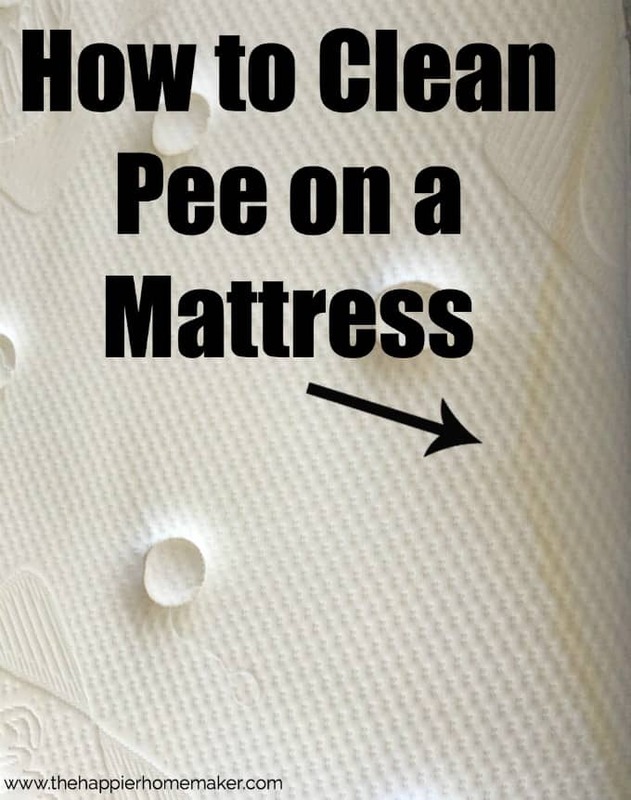 Which leads me to this post-how to clean pee out of a mattress. Not the most glamorous of subjects but necessary nonetheless. Luckily it’s not too hard to fix! First use an old towel to blot up as much of the moisture from the stain. 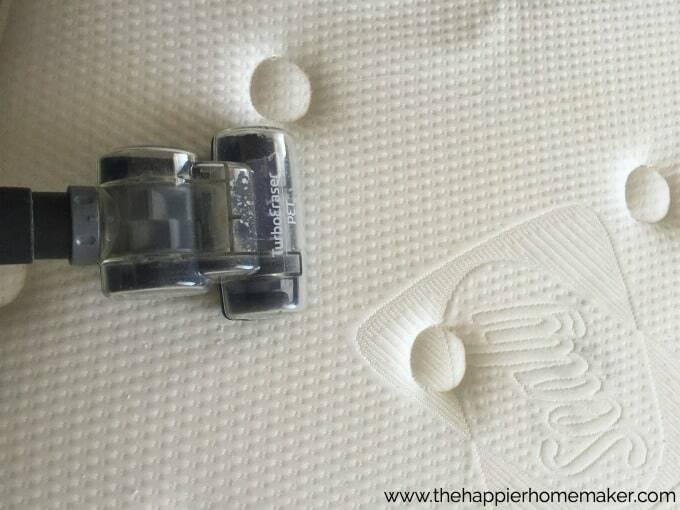 Don’t rub the mattress, just press firmly down to blot and soak up moisture. Next generously sprinkle baking soda over the stain. Allow it to sit for a few minutes while you mix up a 50/50 mixture of white vinegar and water in a spray bottle. Spray the mixture onto the baking soda and allow to sit until it stops bubbling. 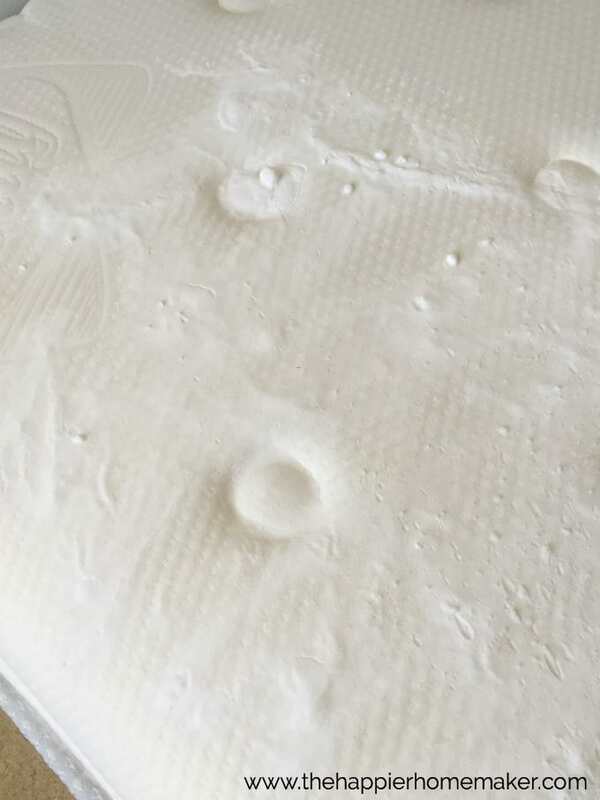 Using another clean towel, again blot the stain to push the baking soda mixture into the mattress surface. Allow the surface to dry for an hour then vacuum up the excess. At this point the mattress will be damp but hopefully clean and odor free. If it’s not completely clean repeat the process, I’ve never had to do it more than twice to remove the stain/odor. Ideally do it as soon after the accident as you can as well as the mattress will take quite a few hours to dry. I’ve even set one out on my porch once in the sun to day but unfortunately it’s freezing here so I wasn’t able to do that this time! Great tips! Baking soda works amazing! been using that too. 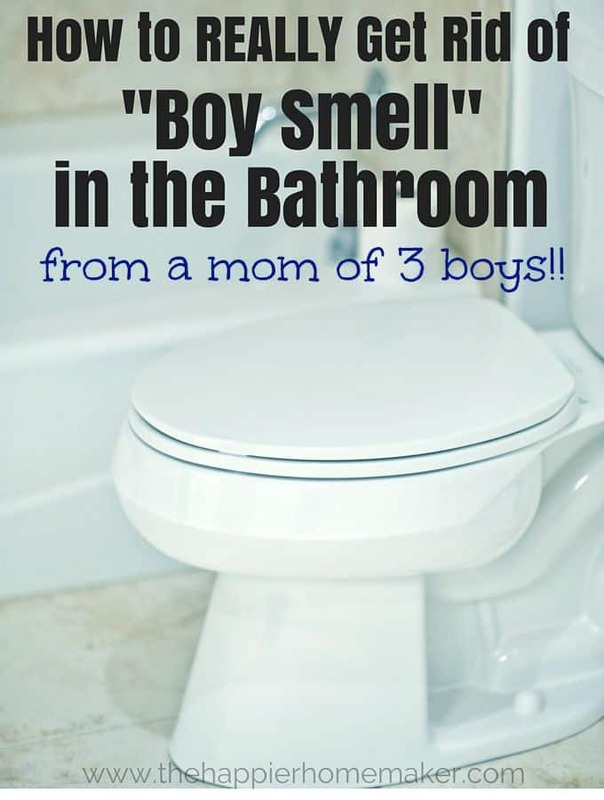 You might want to try adding essential oil or using lysol. Works amazing too! have you tried? 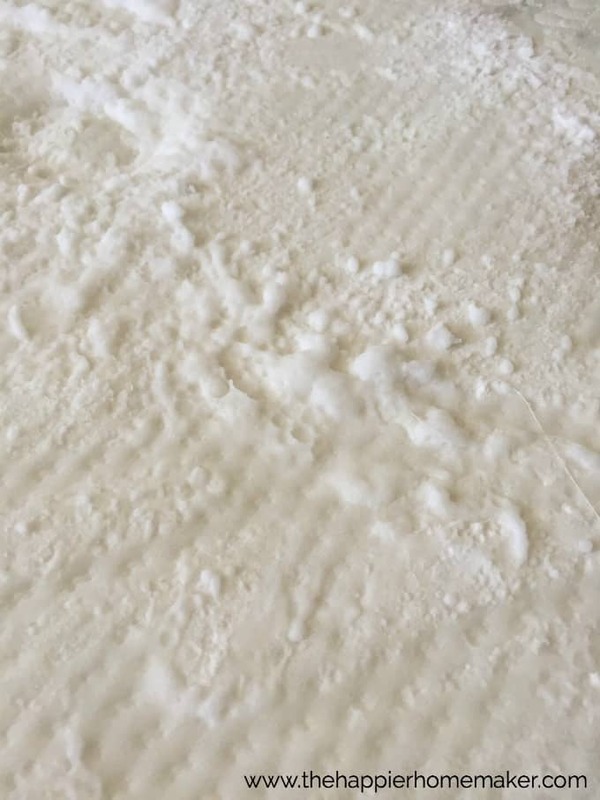 I just got a queen-sized mattress and it already had pee and mold stains on it when i got it? Does anyone know how to get mold stains out? Dangerous. Get rid of mattress. Holly, I got rid of the soiled mattress and got a brand new mattress. Thank-You for your comments.